The word schiaccate (scacciati in the Sicilian dialect) means crushed or smashed. 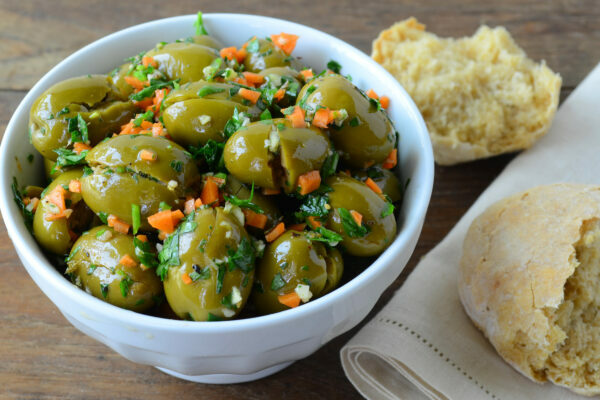 These flavorful green olives are cracked open before being marinated in a garlicky mixture with parsley, olive oil, and vinegar. If you like garlic – you’ll love these olives. You need to use green olives that are not pitted. I like to throw in a little minced carrot for added color and texture. These olives were always at the family holiday table as an appetizer. Serve with thin slices of Italian bread. 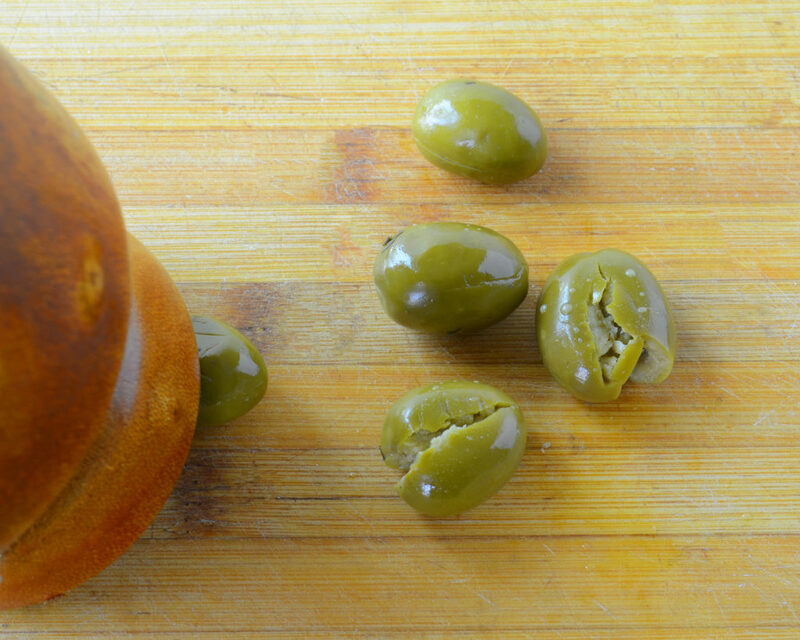 Place the olives on a flat surface or cutting board. Using a heavy object, such as the bottom of the glass, the bottom of a wooden mortar, or the flat blade of a chef’s knife, smash each olive so that it is cracked through the middle. You can remove the pits if you like but it’s not necessary. 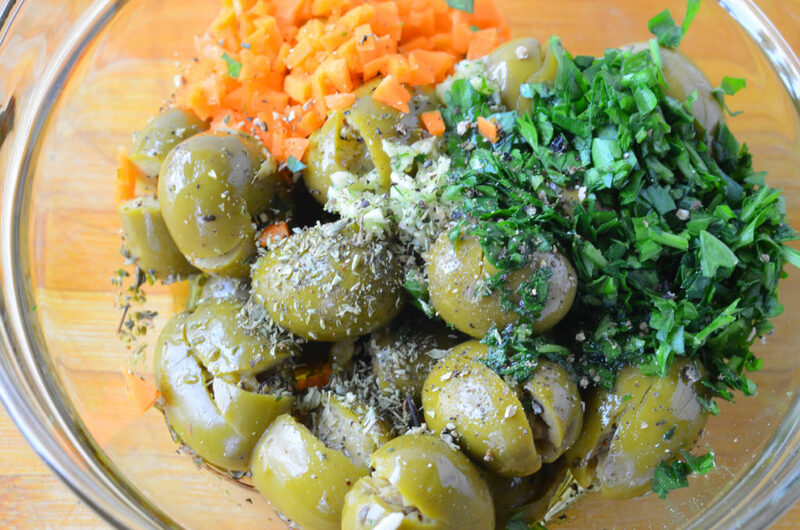 Place the olives in a bowl and toss with the remaining ingredients. Allow to marinate at least 20 minutes and up to 4 hours before serving.